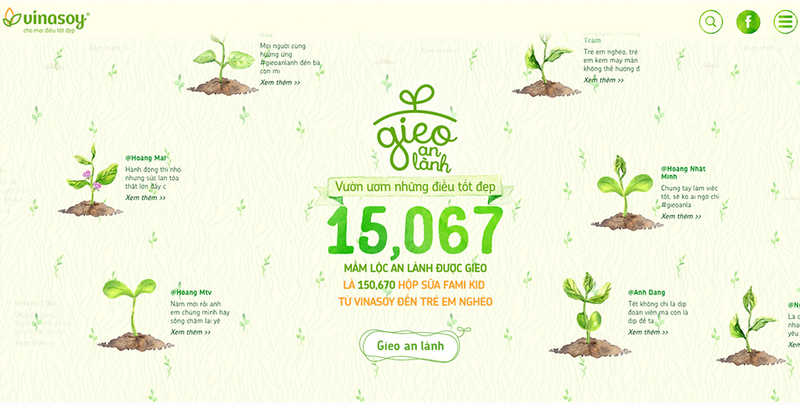 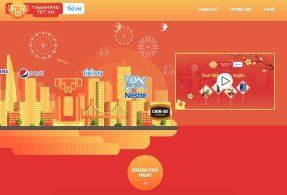 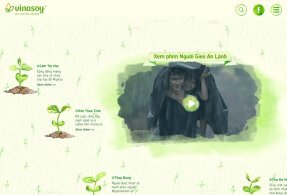 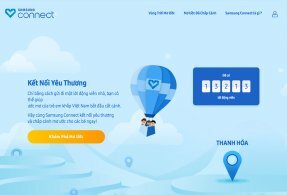 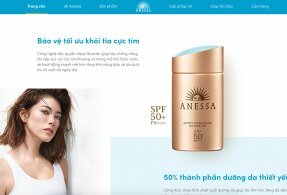 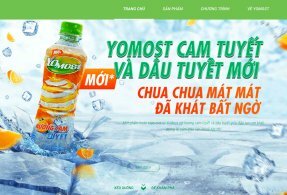 In Lunar New Year 2016, Vinasoy specially built a "Garden of Peace" in the form of microsite calling, encouraging people to do good to "sow peace". 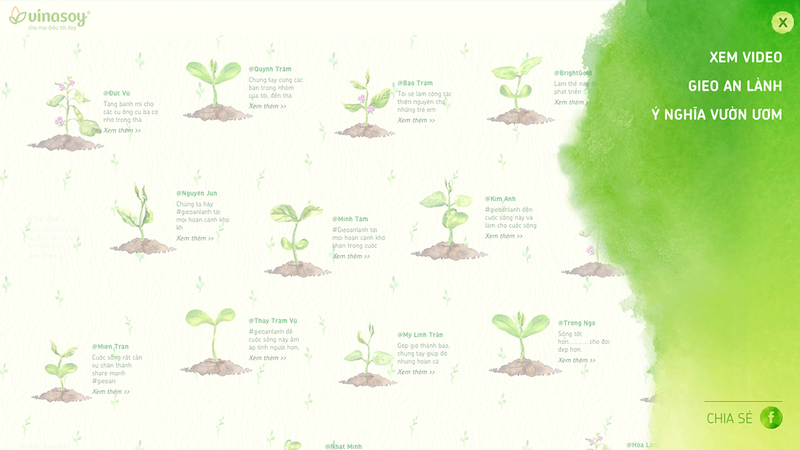 Thus, the peaceful sprouts in each person's mind are expanded into the garden, spread to everyone. 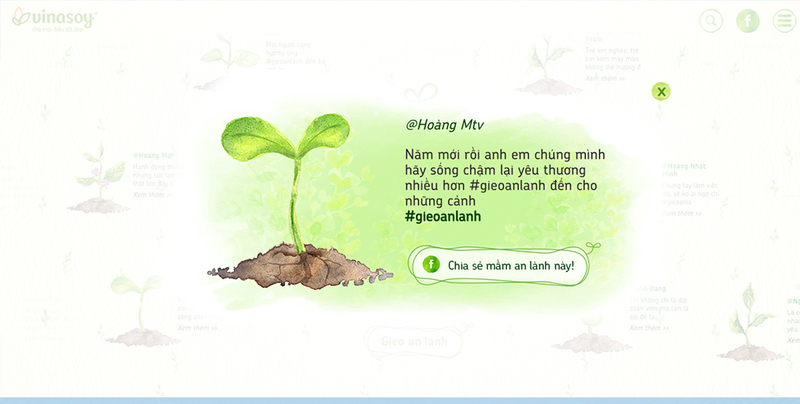 The hardest part of this site is the growing-up animation of the seeds of peace. 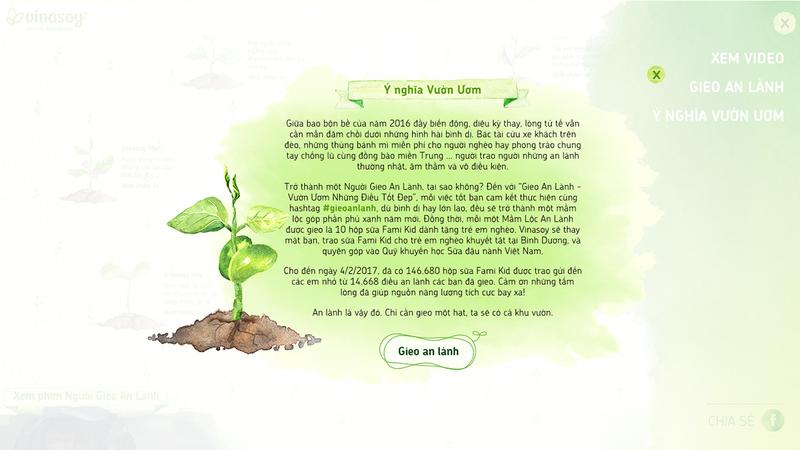 Our dev team have put a lot of effort to create young shoots that rise smoothly and vividly.